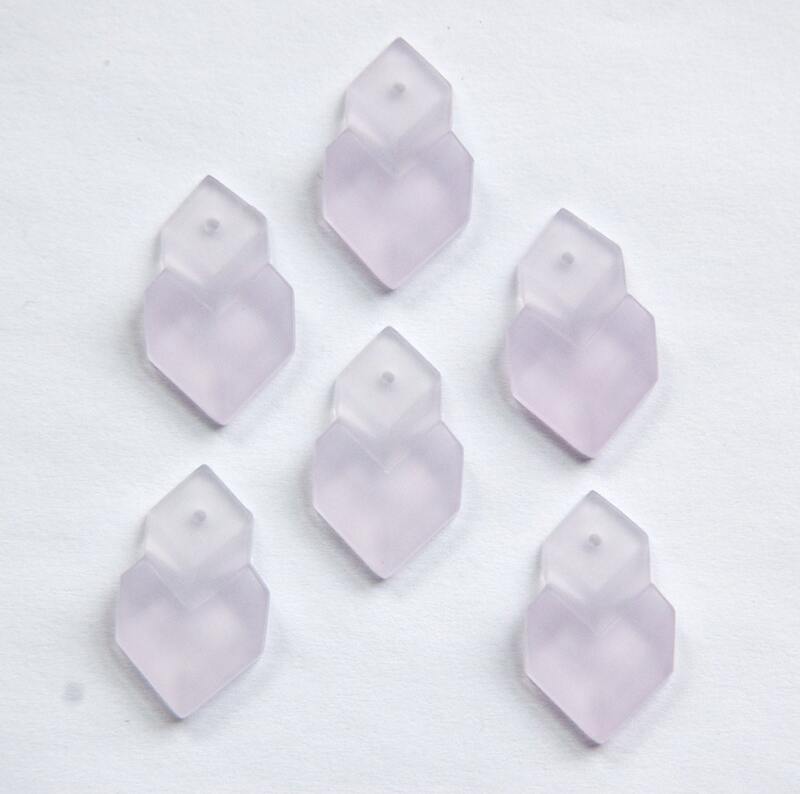 Measurements: 21mm long x 8mm at the widest..
Characteristics: These are flat on the back. They have a raised triangle with an indented diamond shaped tab that has a beading hole. Color: Very pale light purple with a matte finish.